Healthy Origins Extra Virgin Olive Oil is manufactured with organic extra virgin olive oil in a convenient softgel form. 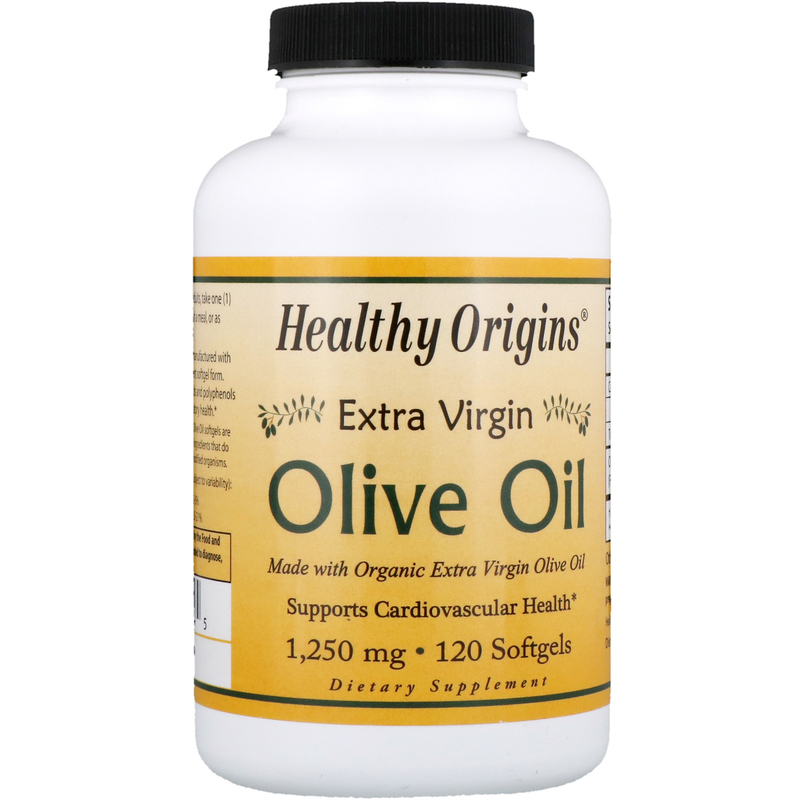 This product contains important fatty acid and polyphenols which may help support heart and circulatory health. 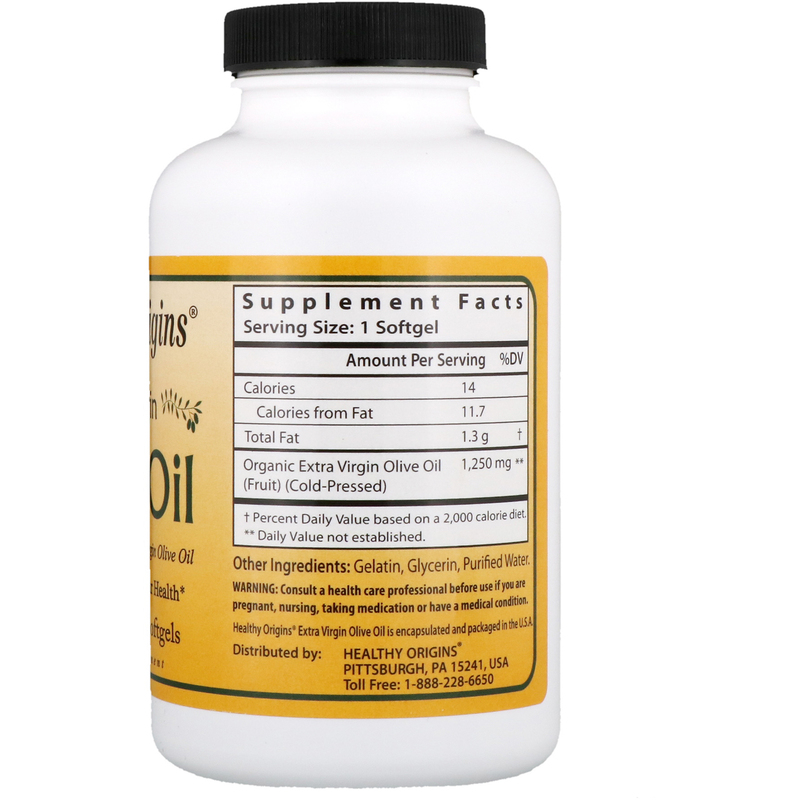 Healthy Origins Extra Virgin Olive Oil softgels are scientifically formulated with ingredients that do not contain any genetically modified organisms. As a dietary supplement for adults, take one (1) softgel once or twice daily, preferably with a meal, or as directed by your health care professional. Consult a health care professional before use if you are pregnant, nursing, taking medication or have a medical condition.